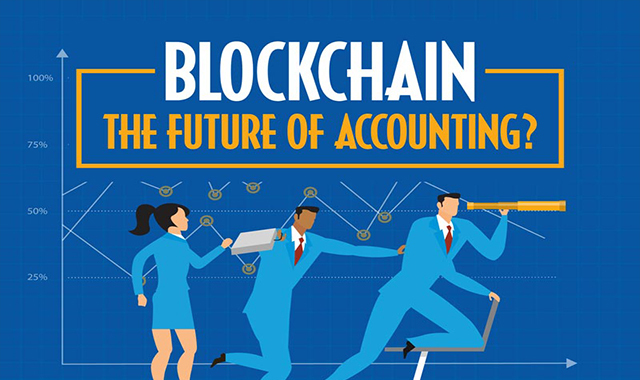 Blockchain the Future of Accounting #infographic ~ Visualistan '+g+"
For students pursuing a Bachelor of Science in Accounting, keeping a finger on the pulse of the industry is key to future success. One important factor driving change in the accounting industry is technology, from cloud computing to automated accounting, blockchain and more. Blockchain is specifically poised to create enormous change in the accounting industry.A blockchain is a public ledger that is transparent, constantly updated, and nearly impossible to alter via unauthorized means. It is decentralized, aggregating and authenticating every transaction from anywhere in the world.